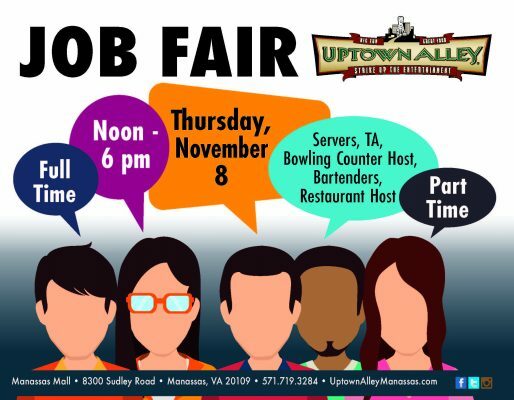 Join Uptown Alley on Nov. 8th from Noon-6pm for a Job Fair. 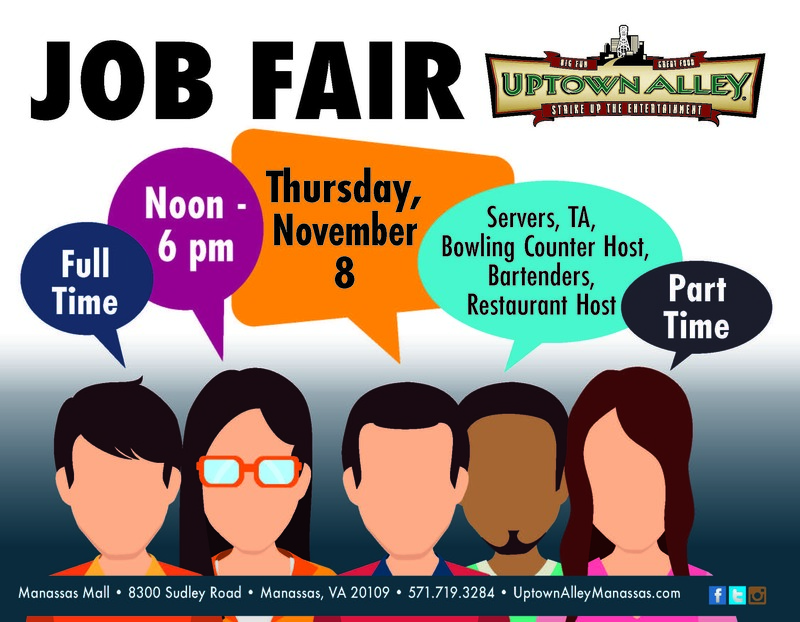 Must have good communication and customer service skills, able to work in a fast pace environment, and work well with team members. If you like people, like to work in a fun environment and are energetic and enthusiastic, this jobs for you!